GTBank, meaning Guaranty Trust bank is an African leading bank that offers online/internet, corporate banking, retail banking, investment and assets banking. The reason I am writing this tutorial is because majority of us and mostly students use this bank. and i have come across a lot of people who visit the bank and most times end up queuing in the never ending line just so they can check their account balance or even check to confirm if a certain money they are expecting have been truly sent. 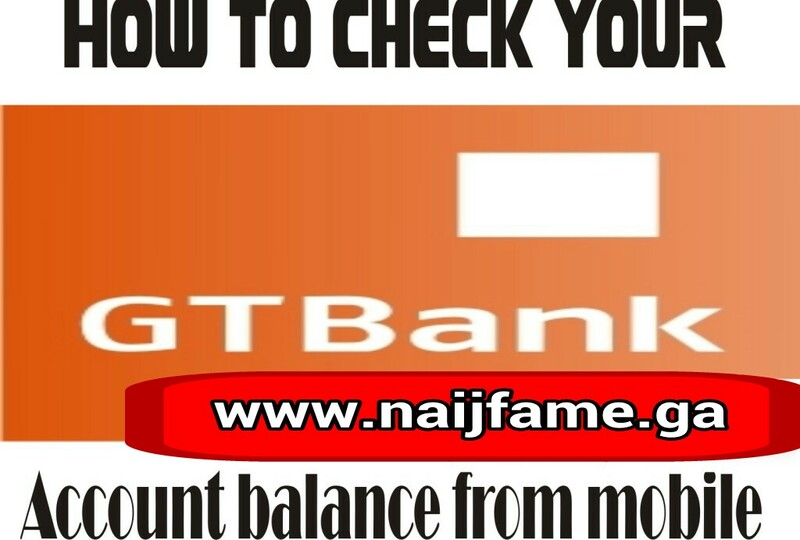 Today i have decided to write a tutorial on code used to check your GTBank account balance from mobile. if it is from GTB to GTB, all you have to do is type "*737*1*amount*bank account number#" select the bank you want and input the last four digit code from your atm card and send. then if it is from GTB to another bank "*737*2*amount*bank account number#" select the bank you want and also input the last four digits on your atm card. 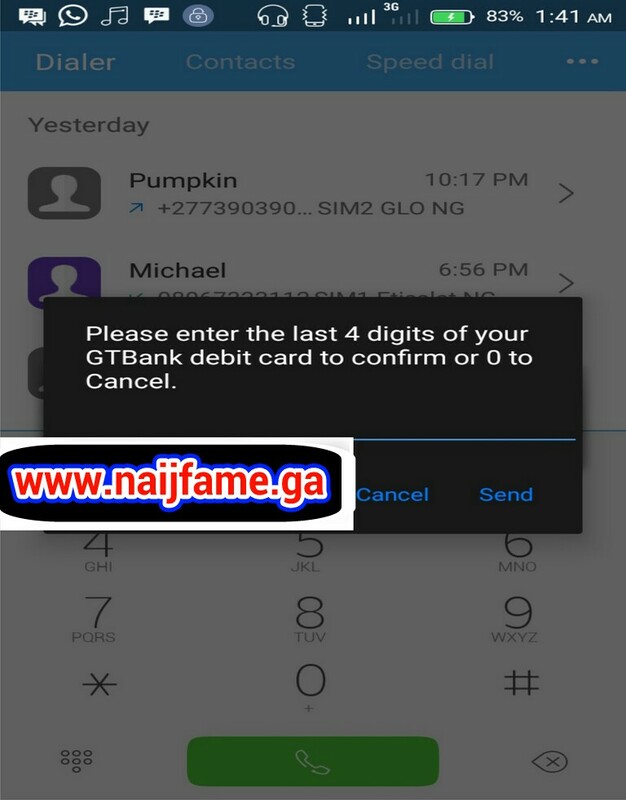 well as for checking your account balance, all you have to do is type "*737*6*1#" and a command prompt like the caption below will pop up where you will input the last four digits of your atm number and you tap on OK. I think this is good enough! your account number will be displayed right before you. Try and share this post with your friends also.